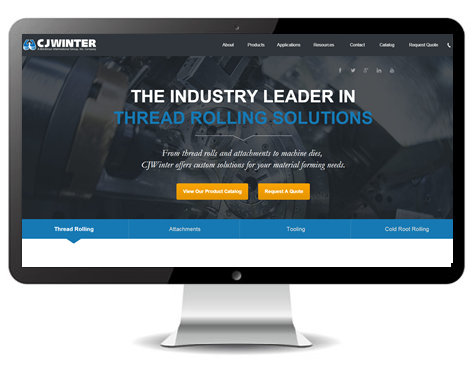 CJWinter manufactures the premier line of thread rolling attachments, thread rolls, specialty dies and tooling for multi-spindle and CNC machines. 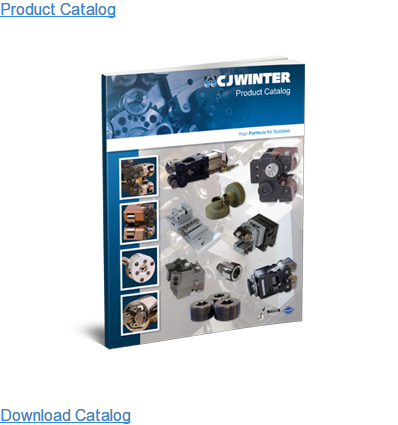 CJWinter began as a supporting manufacturer for Davenport screw machines. Over the years however, the company has expanded its product offerings to include a complete line of thread-rolling dies, both for internal use and for other manufacturers, and has found great success due to a passion for excellent customer service. CJWinter is also a member of PMPA and continues to benefit from the organization’s networking opportunities, wealth of information and access to educational materials. 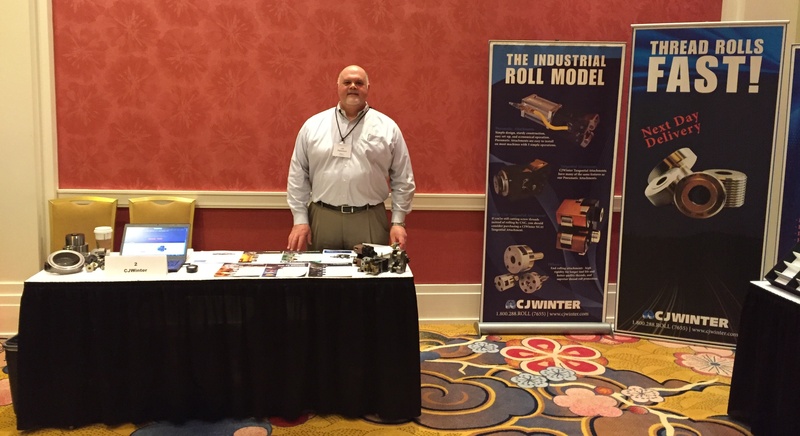 After recently presenting at the 2016 PMPA National Technical Conference, CJWinter will now head to northern Ohio to share thread rolling troubleshooting tips. CJWinter will join PMPA's Northern Ohio Chapter on May 10, 2016, for an "All Things Threading" session in Brecksville, Ohio. CJWinter designs a special tooth form that allows more material to be rolled into the root of the roll and a sharper crest on the part. For US and Metric threads, this delivers additional adjustability between the major and pitch diameter specifications. 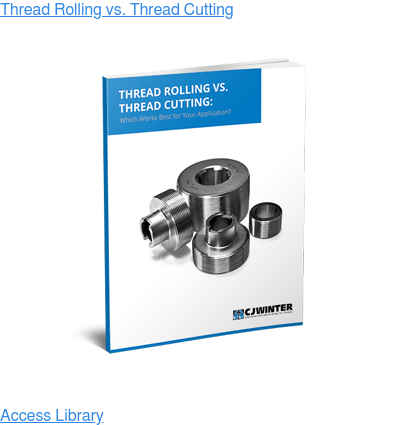 Different materials have different forming characteristics during the thread rolling process. High sulfur, for example, can create flakes and slivers, thereby hindering the thread finish during cold forming. 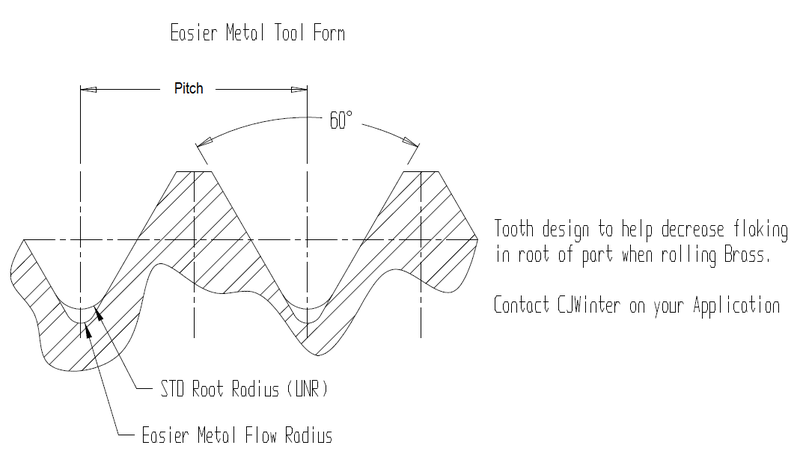 The solution: Easy Metal Flow Tooth forms — a special form that concentrates forces at the root of the thread form, which helps plow material more efficiently during the cold form process. Ultimately, the increased and concentrated force minimizes, and in most cases eliminates, flakes from being produced when rolling brass, high sulfur, and other materials prone to flaking.